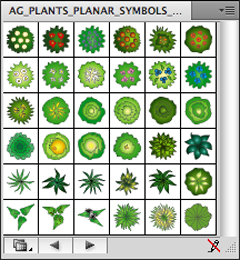 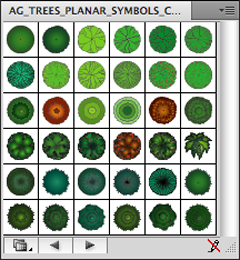 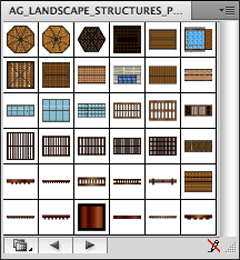 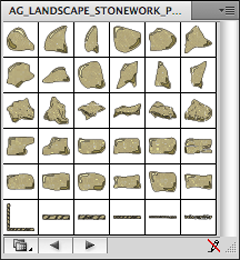 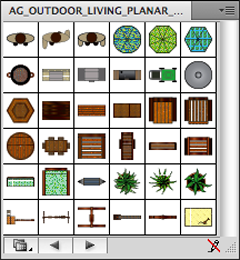 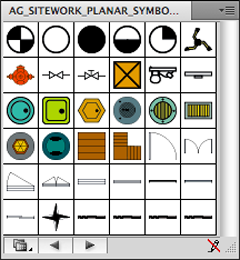 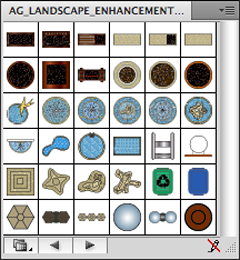 AG Landscape Symbols in Plan View Color are vector symbols drawn in 1/4"=1' scale; they are easy to apply and customize. 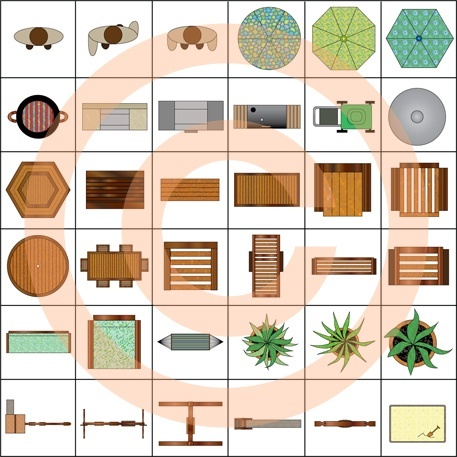 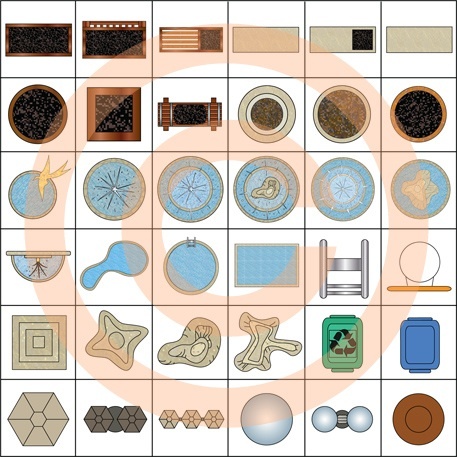 This library of 288 symbols is organized into 8 collections of 36 unique symbols that closely refer to objects seen in nature. 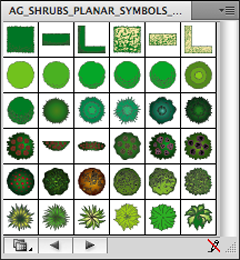 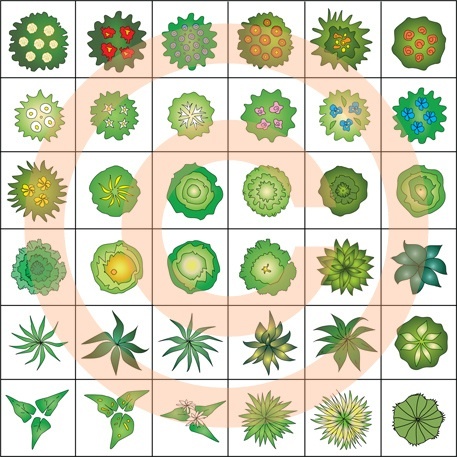 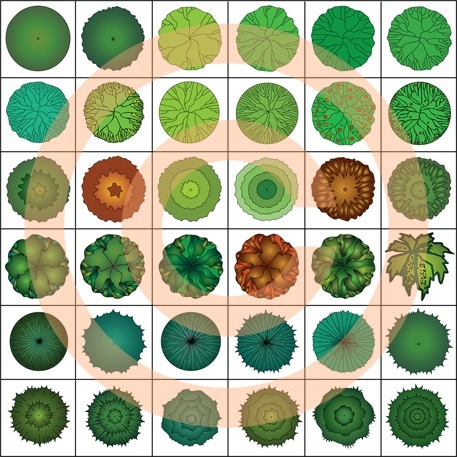 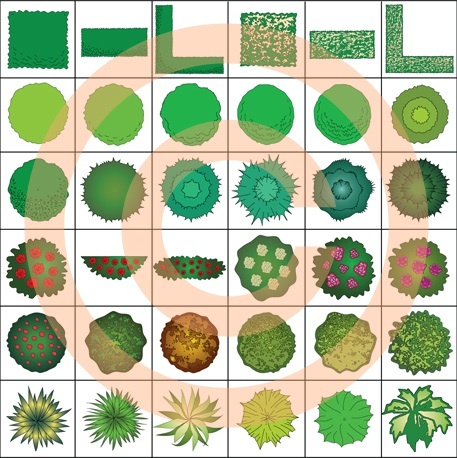 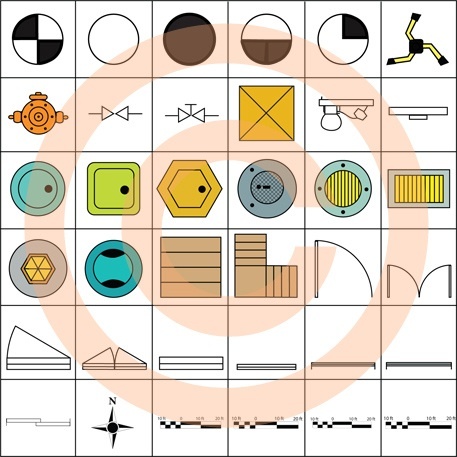 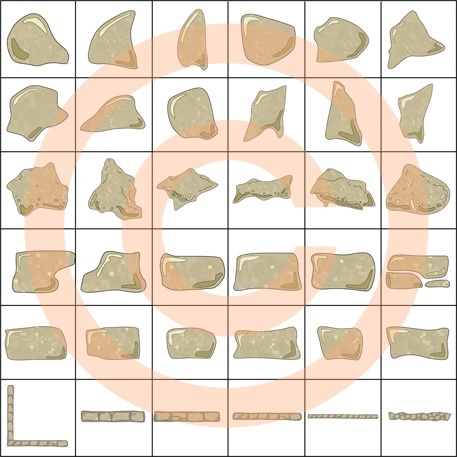 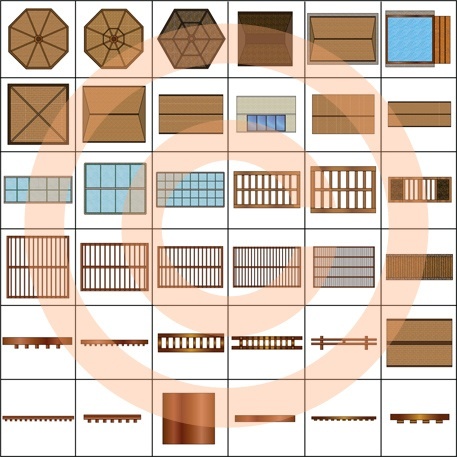 These beautiful and versatile symbols have been especially created to provide you with a perfect tool to design visually stunning landscape projects.